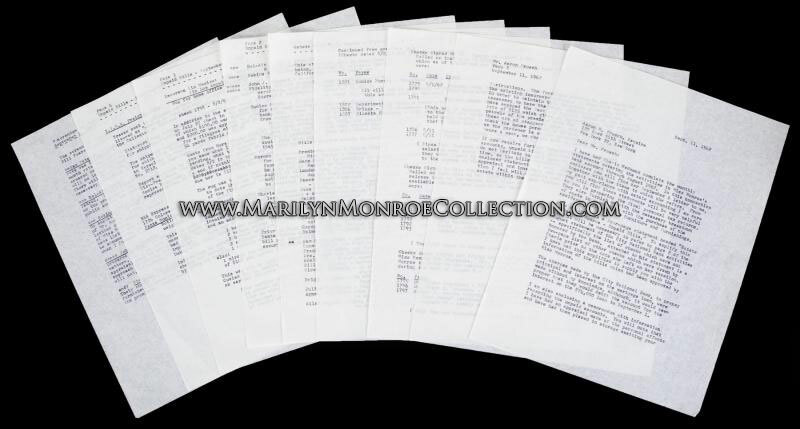 From the personal files of Marilyn Monroe: An extraordinarily detailed record of Monroe’s financial transactions via prepared report statements reflecting the activities in Monroe’s bank accounts at City National Bank and Irving Trust Company from January 1, 1962, to August 3, 1962, 99 pages total. 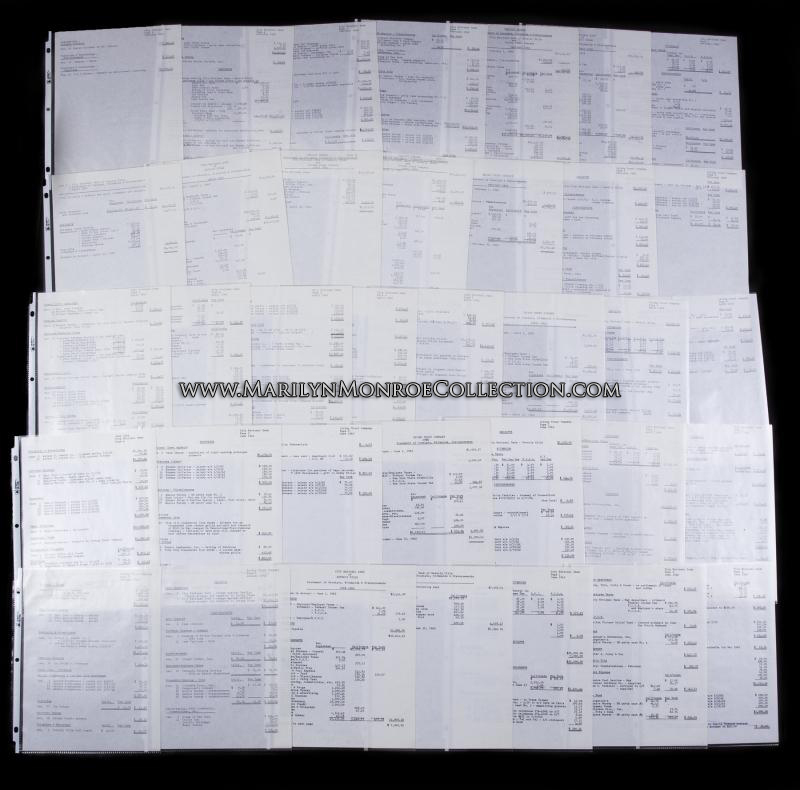 The monthly statement reports include all “withholds,” receipts, and disbursements broken down by type of expense for each account. Of particular interest is the state of Monroe’s accounts at the time of her death, including a balance of $1,337.53 in her City National Bank account on August 1, 1962, with an overdraft of $4,208.34 in the same account on August 3, 1962. 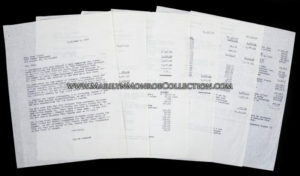 The Irving Trust Account shows a balance of $1,472.41 on August 1, 1962, and a balance of $111.71 on August 3, 1962.